CBD Oil Review rates CTFO CBD with one star because it qualifies for the Quality Badge. 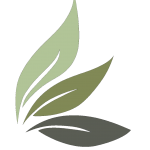 CTFO stands for Changing the Future Outcome. Of what, we’re not quite sure. 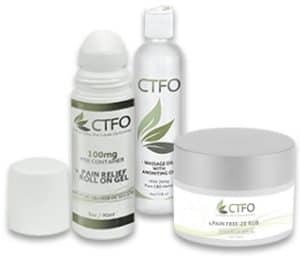 CTFO offers a large variety of CBD-based products and many products that contain no CBD at all. Their focus seems to be largely on marketing, offering individuals free, tailor-made websites to sell their product line. Think Mary Kay for the CBD business. We were able to award CTFO a badge for quality but could not in good conscience grant them our approval in safety, innovation, charity, and mission. See why below. CTFO uses CO2 extracted industrial hemp grown organically on American soil. Where? Who knows. They conduct third-party testing for contaminants for each SKU of CBD product but do not post results regularly. As of this review, they were nearly three months behind. 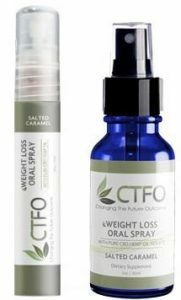 CTFO has a wide range of products containing both isolate and full spectrum varieties. This brand has practically everything you can think of in the current CBD market: tinctures, capsules, gummies, oral sprays, topicals, pet products, vape products, you name it. They also sell serums, creams, and other skin care products with no CBD at all. Unfortunately, we found some unsavory ingredients in some of these products. Their CBD gummies contain artificial colors and flavorings, including Yellow 5 whose documented negative effects are well known. CTFO sells hair growth products which contain EDTA, another notoriously harmful ingredient. For these reasons along with a lag in third-party testing, we cannot award them the safety badge. 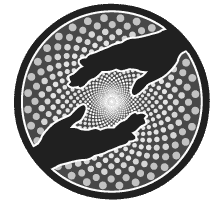 CTFO claims to give proceeds to charity and claims that, “God is at the center of all we do.” The former we cannot substantiate; the latter we obviously can’t either. And on top of that, there is a lack of a genuine mission to offer high-quality hemp as an alternative solution to wellness issues. Instead, the aim is marketing. Safety, quality, and a real love for hemp and what it can do seem relatively absent. Bottom Line – Founded and run by serial marketing professionals, we find a lack of sincerity in the brand. We went ahead and awarded the quality badge since we have indeed seen third-party test results that point to quality extract. However, these results are not current, and harmful ingredients like EDTA and artificial coloring prevent any safety designation by us. 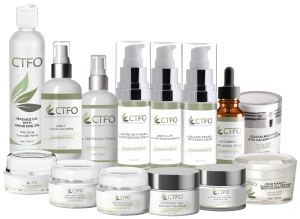 CTFO utilizes organically grown U.S. hemp processed via CO2 extraction that is free of contaminants. This is a terrible review. It is one sided, as stated above. These products are amazing and work! Who are you a distributor for? There are things that do need to be changed, in every business, but the quality of most of our products are amazing, such as the 10xpure, the lash and brow serum, and many others! I agree with previous comment. I use these products and have seen an incredible difference! Very biased review, seems to be highly targeted against the marketing plan. 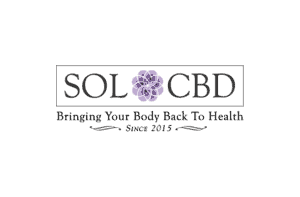 The goal appears to be to discourage sales of a great Hemp CBD oil product that is quickly gaining popularity and increased sales. Try the product for your self and seek unbiased information. I don’t agree at all. No products that have cbd currently are under guidance by the FDA. They offer lab testing and their labels usually only have one ingredient in them(usually means the product is organic.) They sell the highest quality products at the lowest prices I’ve found on the market. Except maybe amazon and that isn’t pure full spectrum cbd, it’s extracted from hemp seed oil and which is NOT a cannabinoid! It’s also FREE to become an associate. CTFO did not work for me. Hempworx works way better for me. I used 1500mg oil and it barely did anything for my back pain. I take hempworx 750mg and it works great. I will be returning my ctfo products. I was really hoping they would work better. Ctfo labels are misleading as well. Quality of product is most critical in this industry. It appears CTFO produces a top rated product! Clever post, mate! Everyone should try this product for themselves, follow the link above and find out why these products are quality certified! This is so biased. I use CTFO products and they are amazing ! I was close to be homebound for chronic pain before starting this oil. I now have my active lifestyle back after years of being in extreme pain. YES, These products WORK ! The CEO's of the company are upstanding and truly care about others. I am always in extreme pain, after reading your post I must try it.